What is a Challenge Night? 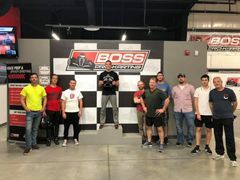 Challenge Nights at BOSS are when the racers come to race. Fast "regulars" from BPK? They're here. 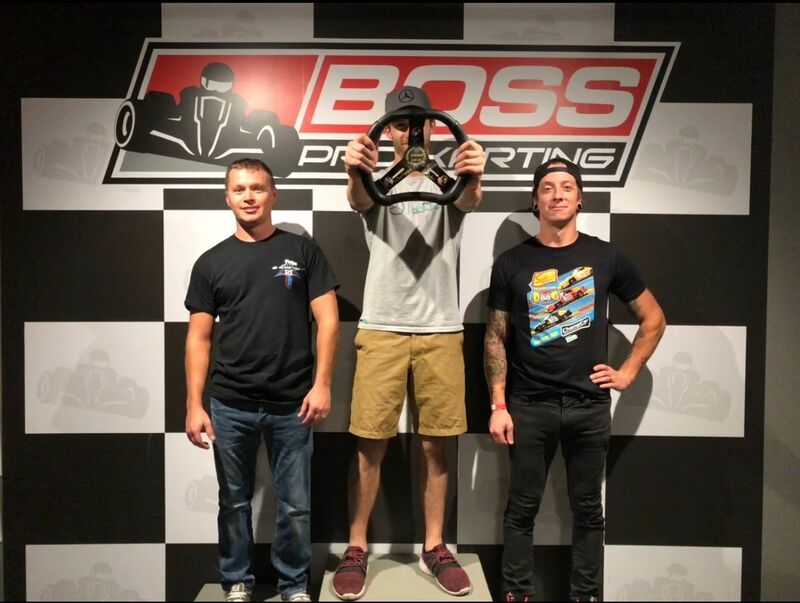 Professional drivers/riders/racers? They're here. Passionate drivers that may be seconds off of the track record but determined to learn from the best? They're here too. 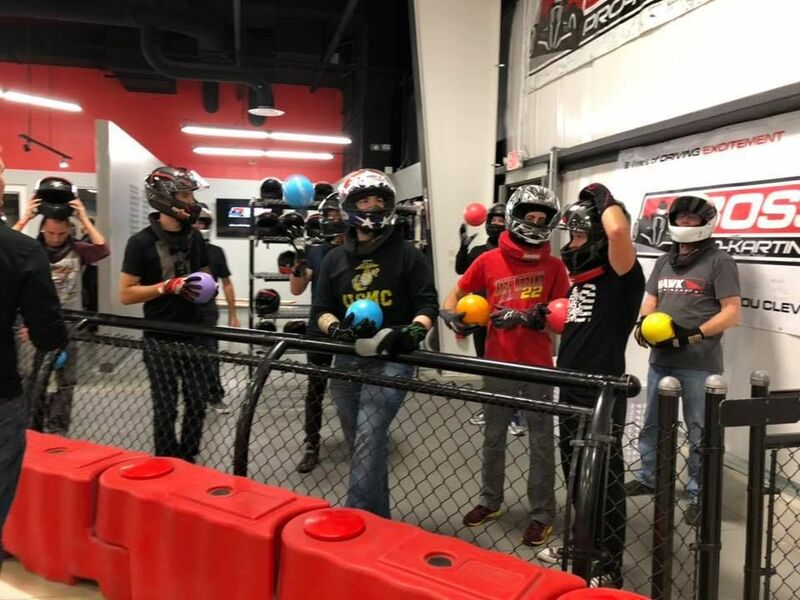 Each Challenge Night will have drivers facing a different challenge to get you out of your element, learn some new skills, and have a lot of fun along the way. 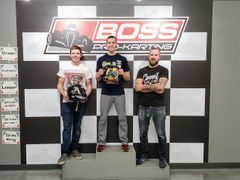 From straight-up racing in a variety of formats, to track changes, to on-track racing "games" you'll never get that dreaded "comfortable" feeling. We all learn the most just outside of our comfort zone, and that's where we're going to keep you! Just check out the schedule below and head to the track on those dates - it's as simple as that! This is NOT a running points series, so you don't have to make a months-long commitment and everyone is welcome. 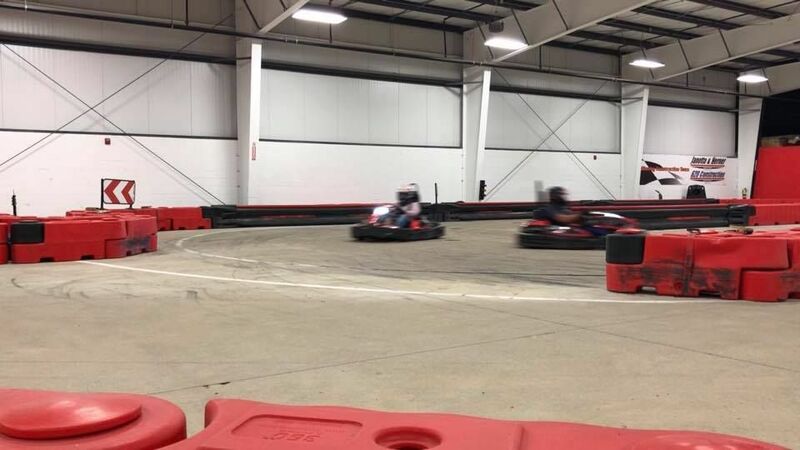 You don't have to be crazy fast, but you will need to have good control over your kart for the types of racing we'll be doing. 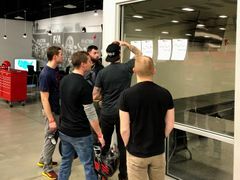 While Challenge Nights aren't a great place for true beginners, you're in the right place if you've turned a few laps with us before and are ready to take things to the next level. Join our Challenge Night Facebook Page to join the conversation and stay up to date! Lights Out, Reverse Track w/Carousel. 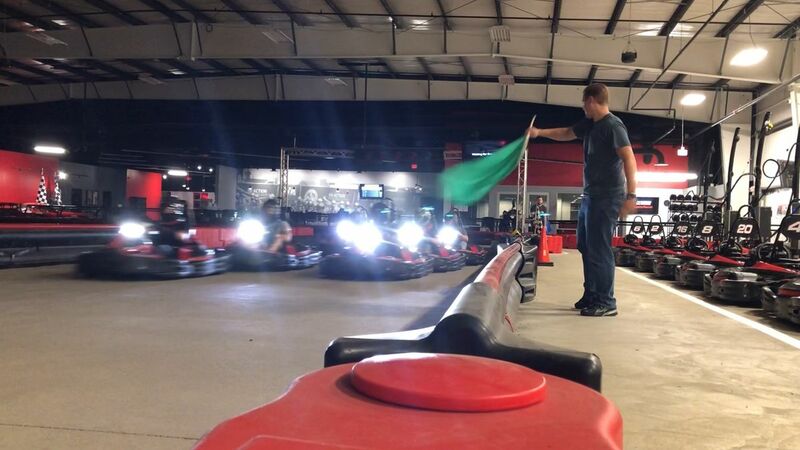 We kicked off Challenge Nights with a bang last night with some great wheel to wheel racing! 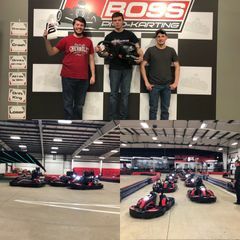 We had rolling starts going straight into the tricky "Spoon" section, group race line review and comparison, and even a little exhibition racing fun at the end of the night! 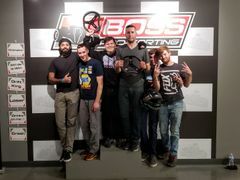 Thank you to all of the awesome drivers who came out, and congratulations to "Lewis Hamilton" for taking home the win! 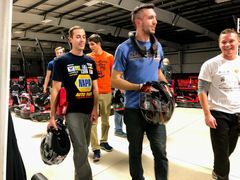 Dramatic track re-shaping, "joker laps" that ADDED track length, and white knuckle merging traffic were all on the menu for Challenge Night #2. Passing was very difficult, but strategy was key. 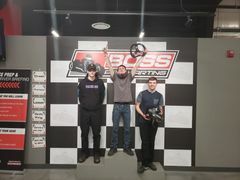 Congrats to Zach "mxridr210" on a dominant night and his first Challenge Night win! Things got very... interesting this week and we had a lot of crazy things going on around the track. 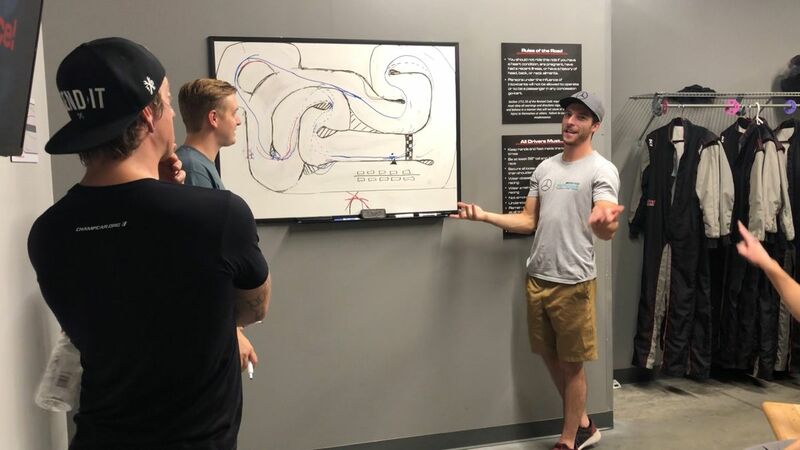 Turns out the challenge this week was seeing how many track layouts our drivers could memorize in one night! 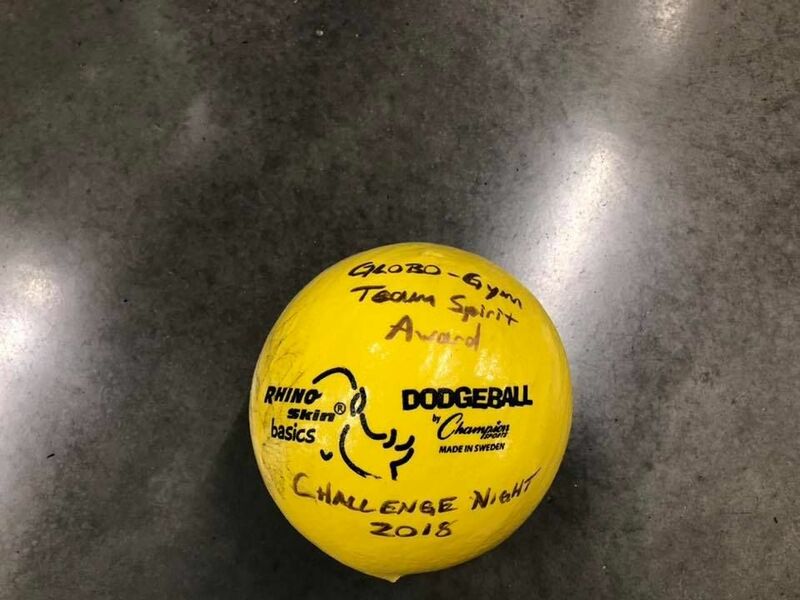 If you weren’t lucky enough to make it last night to dodge Baun going the wrong way, no need to worry because we’ll be running our next Challenge Night on October 25th! We learned nothing and no one got better tonight. 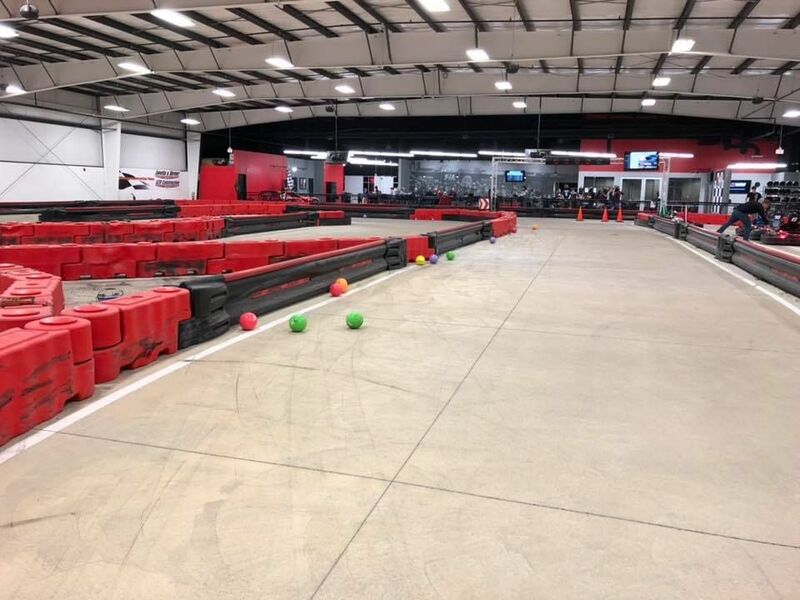 We did, however, settle some scores and have a blast playing go-kart dodgeball! If you weren’t able to make it Thursday night there’s no need to worry because we’ll be running our next Challenge Night on November 7th! 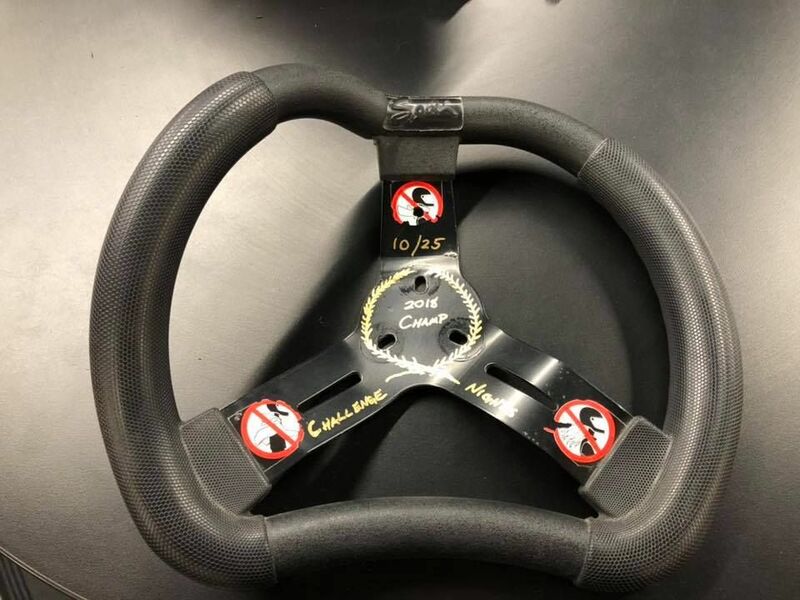 After track morphing, strange layouts, and dodgeball we’re getting back to some wheel to wheel racing this week. Lots of drivers in this group are quick for lap times but we’re going to work on racecraft, setting up passes, and what it takes to finish better than your lap times in a heads-up race. 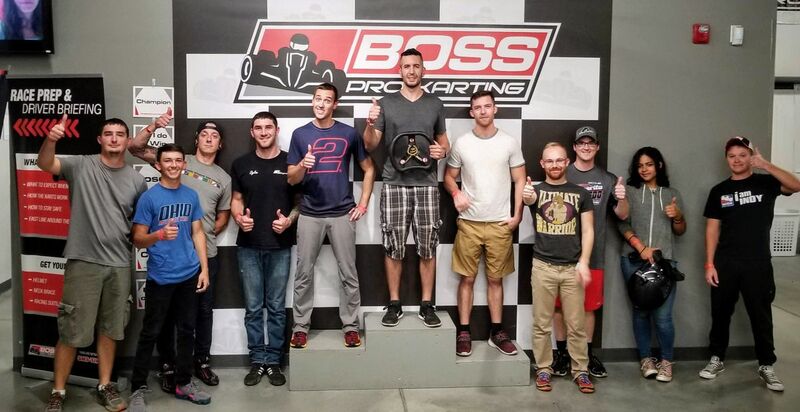 We tested the mettle of our Challenge Night drivers with some endurance racing tonight! 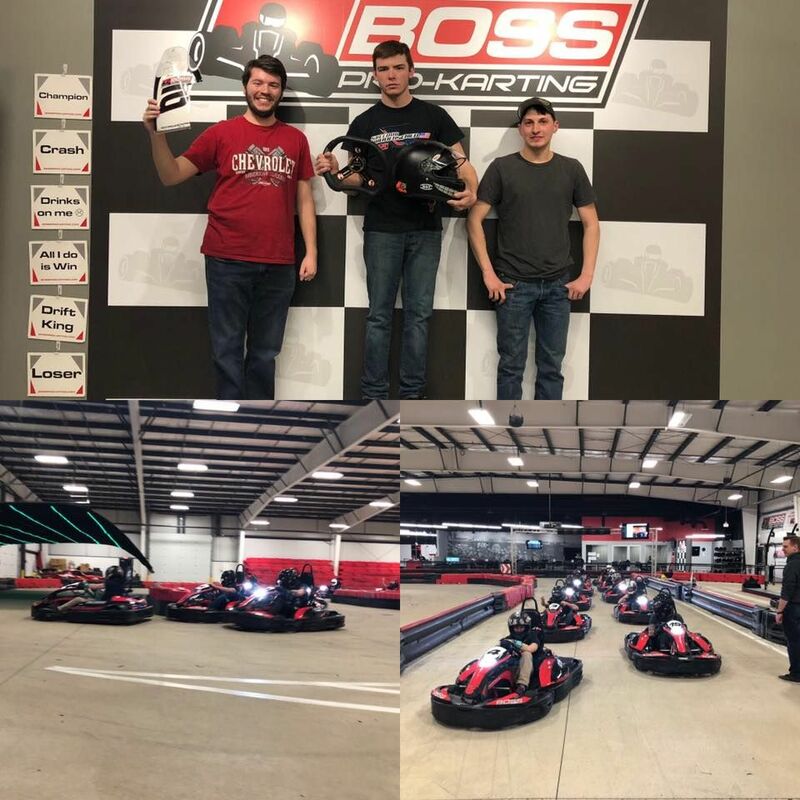 96 lap race split between two team members, each having to run 48 consecutive laps in a brutal 'leader outside the cones' race format that kept everyone door to door and the pack bunched up for the duration of the near 100 lap final. Heads-up racing and another new track layout! All of our drivers were pretty quick to adapt to the new track, but the first few sessions out REALLY leveled the playing field. 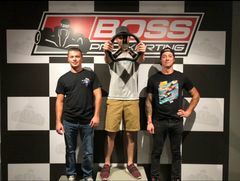 In the end Acceler8 took home his first Challenge Night win! We got a little dodgeball in, a little racing in, and saw some new but VERY competitive drivers at Challenge Night! JohnF took the win with Bad Johnson and sm08_jb close behind. 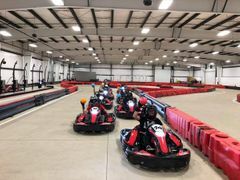 With one driver recovering from injuries endured at the Rumble in Fort Wayne over the weekend and another getting roughed up here at the track, the drivers left standing duked it out on another new track layout while working on some passing strategies. 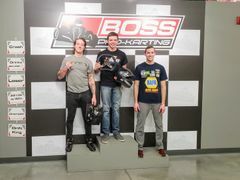 Bad Johnson took home the win despite his dislocated kneecap from the Rumble, leading Baun and JohnF across the finish line! Last night we had our Challenge Night regulars face off against the BPK Staff! With 24h Daytona racing around the corner, we added a "bus stop" to the back straight to get into the spirit. 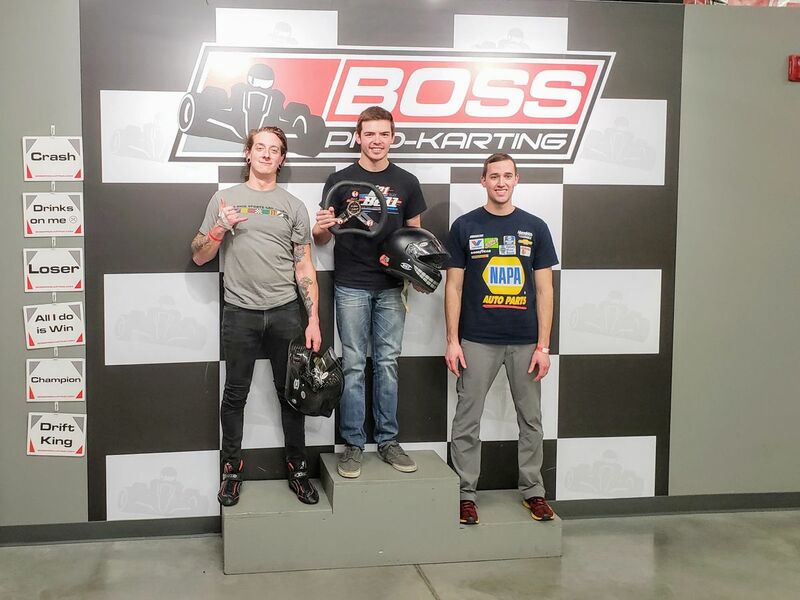 The BPK staff ended up taking the win in average finishing position, but Zach took home the race win for the Challenge Night Team. He spent the whole race running down Thing2 and, with some help from lapped traffic, made a last lap pass to put him in the dirt! Endurance racing is back! After a warm up and a quick round of qualifying, we jumped right into an 80 lap endurance race with two-driver teams. "Team Two" ended up Team #1 with Zach and Alex schooling Steve and Red on (inappropriate team name here) who were dominant the whole race. 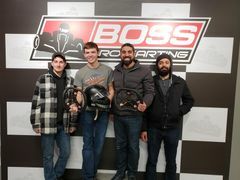 In the shuffle for the lead, Team NAPA with John and Simran slid in to steal second place on the last lap! Last night we had our Challenge Nighters do some Australian Pursuit on a new track layout! They were put onto the track inverted, which allowed for a lot of passing, knocking out almost everyone with only 3 racers left at checkered. 'aceler8' ended up taking the "Australian Pursuit Consolation" trophy, but not before 'bad Johnson' took the win for the night! What makes BOSS Challenge Nights Special? Racing is all about community. 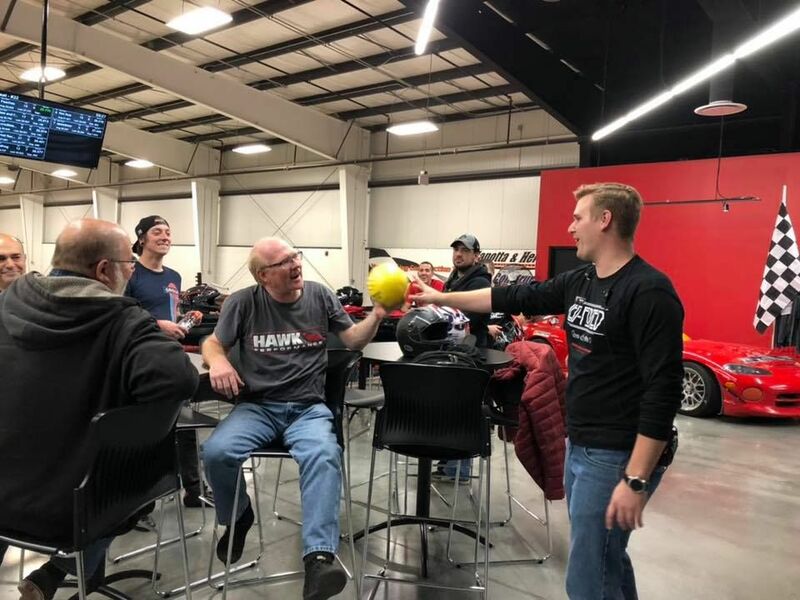 Ask any pro driver to tell you a racing story and it may start out with talk about a specific race, pass, or accident, but it always ends up focusing on people. Their crew, their competitors, their friends at the track - the people we race with and the passion we all share for racing is why we all do it. While we chase that tenth of a second, celebrate a miraculous win, or struggle through the disappointment of a crashed car, the people surrounding us are the magic element that makes it all worth it. 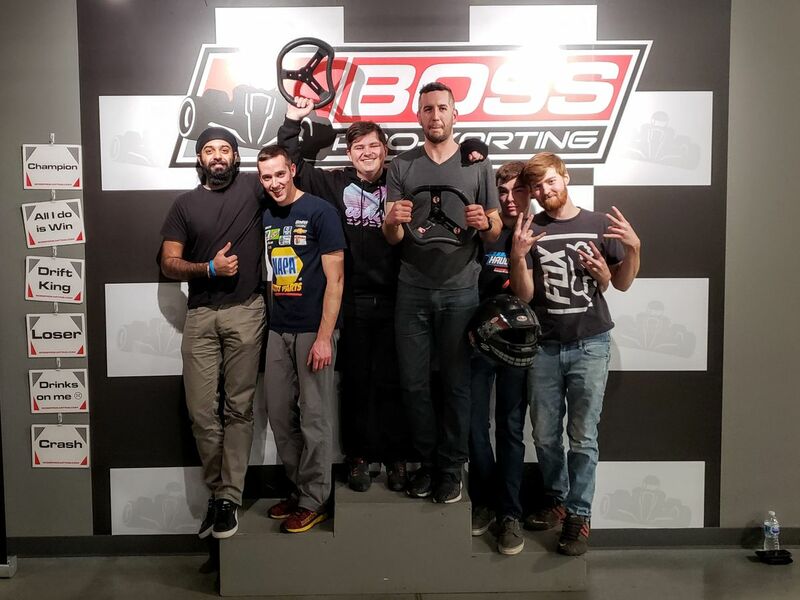 BOSS Challenge Nights are a way for our community to get together with others who are passionate about driving, improving, and learning with plenty of laughing and trash talking along the way! 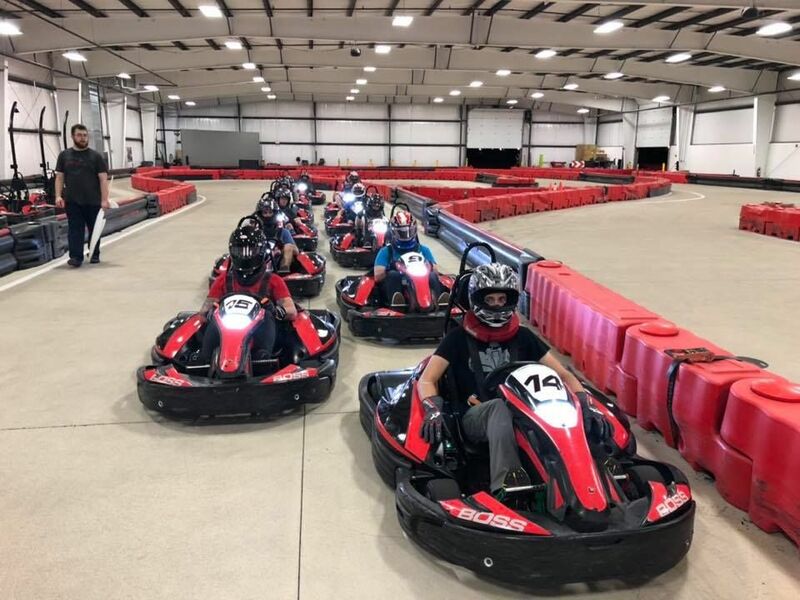 It's time for the great groups of racers that have become family at BPK to finally meet each other, and for the passionate 'lone racers' to have a night where they can walk in to a crowd of familiar faces on tough competitors. 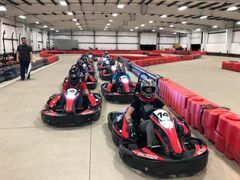 It's time for the professional racers, the motorsports industry, and the driving enthusiasts to have a common place and time to bond through racing the ever loving sh*t out of some go karts! Do you have a group of 10 or more friends or colleagues that want to set up a race series of your own and completely on your schedule? We can do that too Just email lee.boss@bossprokarting.com to set up a meeting where we can discuss schedule, race formats, scoring, and build out your "Awesome Name Here" Racing League! Check out some of the action from our last round of leagues in the videos below!